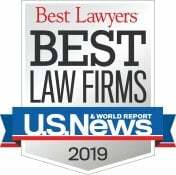 Michael S. Berger is a founding and managing partner of The Law Offices of Andres & Berger, P.C.‚ one of the most highly regarded medical malpractice and personal injury law firms in New Jersey. Mr. Berger limits his practice to medical malpractice claims. He is admitted to practice law in the State and Federal Courts of New Jersey. 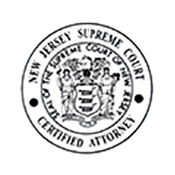 Michael Berger is an award-winning medical malpractice attorney, Certified by the Supreme Court of New Jersey as a Civil Trial Attorney and by the National Board of Trial Advocates. 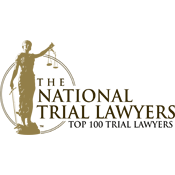 Mr. Berger is a Fellow of the American College of Trial Lawyers and has been listed by numerous publications as a top attorney. 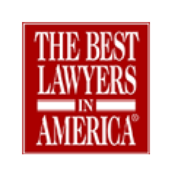 Berger served as the President of the Association of Trial Lawyers of America—New Jersey and was a member of the New Jersey Supreme Court Civil Practice Committee and Model Jury Charge Committee. 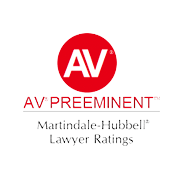 He has an “AV” rating by Martindale Hubbell and has been listed by numerous publications as one of the Top 100 New Jersey SuperLawyer, The Best Lawyers in America, South Jersey Magazine as the Top Civil Trial Attorney of South Jersey, and an “Awesome Attorney” by SJ Magazine. 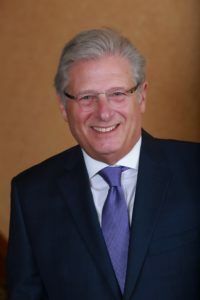 He has received the Association of Trial Lawyers of America—New Jersey Gold Medal for “Outstanding Service to the Legal Profession.” Berger is a frequent speaker and lecturer for State and National Legal Organizations and an Adjunct Professor of Law at Drexel University—Thomas R. Kline School of Law, where he teaches Trial Advocacy. Mr. Berger is dedicated to helping injured people and families who have lost a loved one. Mr. Berger only handles cases on behalf of people seriously injured by medical malpractice and wrongful death claims for family members seeking compensation from the individuals and institutions responsible. He is highly selective and limits the number of cases he accepts so that he is able to provide a high level of service to his clients. All cases are carefully screened by Mr. Berger and evaluated by independent, qualified experts to make certain that the cases have merit. 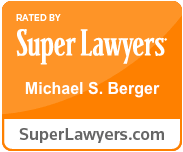 Mr. Berger has a proven record of success in obtaining multi-million dollar settlements and verdicts. Lawyers throughout the state refer their major cases, as well as their family and friends, to Mr. Berger. 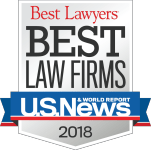 Mr. Berger has been recognized by the courts, major legal bar associations and fellow lawyers for his expertise in representing medical malpractice victims. Mr. Berger is fluent in Spanish. “Litigating Medical Malpractice Cases”. 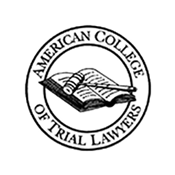 American Law Institute-American Bar Association Committee on Continuing Professional Education, Philadelphia, June 5, 2003. “Expert Witnesses”. Camden County Bar Association Continuing Legal Education. New Jersey Injury and Malpractice Law: A Reference for Accident and Malpractice Victims, Andres, Kenneth G. and Berger, Michael S., ©2010.